The new solo show from the one-time member of The Illusionists! 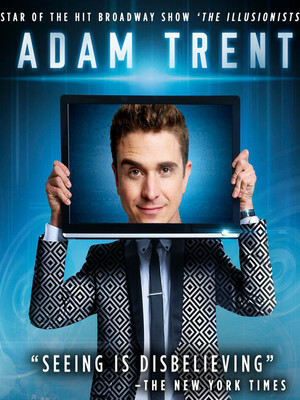 As one member of The Illusionists, the world's best-selling magic show, Adam Trent honed his craft and dazzled hundreds of thousands of audiences members around the globe. You might also recognize him from his many memorable performances on tv, including a Today show appearance which saw him blending the host's iPhone before making it re-appear inside of a melon! Adam's magic is a family-friendly blend of old-school illusions with cutting edge technology, often incorporating large LCD screens into his work. A complete natural on stage, his shows also include plenty of dancing, stand-up, and of course, audience participation for those brave enough! Catch Adam live on this new solo tour where he'll be bringing some brand new routines in front of his North American audiences. Sound good to you? 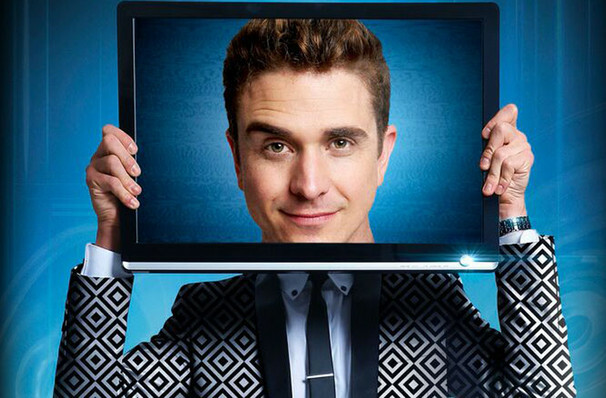 Share this page on social media and let your friends know about Adam Trent at Fox Theatre. Please note: The term Fox Theatre and/or Adam Trent as well as all associated graphics, logos, and/or other trademarks, tradenames or copyrights are the property of the Fox Theatre and/or Adam Trent and are used herein for factual descriptive purposes only. We are in no way associated with or authorized by the Fox Theatre and/or Adam Trent and neither that entity nor any of its affiliates have licensed or endorsed us to sell tickets, goods and or services in conjunction with their events.